All the great Russian writers have their own unique, easily recognizable style, and the same is true of their handwriting. RBTH takes a look at autographs by Dostoyevsky, Mayakovsky, Tolstoy and others. This spring, a copy of “The Tsar Maiden” signed by the poet Marina Tsvetaeva fetched a record $230,000 at auction. The sale was organized by the Moscow-based auction house In Nikitsky, which has previously featured signed copies by such heavyweights of Russian literature as Dostoyevsky, Tolstoy, Chekhov and Brodsky. As well as the author's standing there are many factors that define the value of a particular autograph. Where was it given and why? Did the author know the person they gave the autograph to, and if so, what was their relationship? Another key factor is, of course, what the autograph actually says. "The less conventional and more original the inscription in a book is, the more valuable and expensive that book becomes," says Sergei Burmistrov, managing director of the In Nikitsky auction house. Tsvetaeva was famously able to find the perfect words for everyone she signed her books for, which is why her autographs are valued so highly. Her poem "The Tsar Maiden” was first published in 1922 in Berlin. Tsvetaeva's autographs are usually estimated at $100,000-$120,000; however, in this case the price went up because of the intended recipient. In 1924, the poet gave a copy of the book to Alexander Kerensky, the former head of the Russian Interim Government. According to unproven rumors, the pair had an affair, which certainly adds an extra level of meaning to Tsvetaeva's words: "To dear Alexander Fyodorovich Kerensky – a Russian fairy tale where nothing turns out well." There is a romantic story behind an autograph by the poet Anna Akhmatova as well. Signing a photograph taken by her third husband, Nikolai Punin, in the 1920s, she wrote, "For my dear friends in Asia, with love." She sent the signed picture to the composer Alexei Kozlovsky and his wife Galina, who were living in Tashkent – where Akhmatova had met them during her exile. 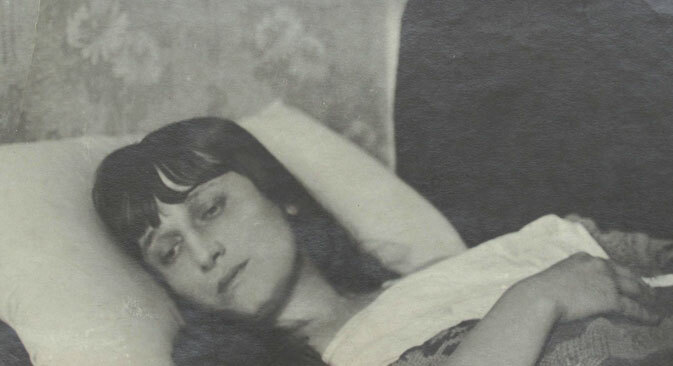 Akhmatova was very careful to keep her relationships private, so researchers have only recently established that Kozlovsky was one of her lovers. That discovery has considerably increased the value of the old photograph. Autographs by Pushkin, Dostoyevsky and Tolstoy are so valuable that there are numerous attempts to forge them. Below is a signed photograph of Dostoyevsky. Is the signature genuine, though? Expert analysis was carried out to establish its authenticity, and experts from the Russian State Library concluded that this is indeed Dostoyevsky's handwriting. For its part, the auction house researched the photograph's origins, discovering that Dostoyevsky signed it for Sofya Khitrovo, the stepdaughter of writer Alexei Tolstoy (1817 – 1875). Chekhov's autograph was given to Nikolai Leykin, writer and publisher of the humorous magazine Oskolki (Fragments), in which Chekhov published over 200 stories. It was on Leykin's advice that Chekhov began writing his famous character sketches, and this autograph is just a small fragment of their lifelong friendship. Tolstoy's easily recognizable signature can be found in numerous books, which are all of museum value thanks to the autographs. The one below was signed on the flyleaf of the first volume of the writer's collected works, which Tolstoy presented to his physician, Konstantin Volkov. This story even features in one of Tolstoy's biographies. The young man and later generations of his family cherished the postcard as a family treasure. According to Sergei Burmistrov, the head of the auction house, if this autograph was put up for sale, it would become a sensation – largely thanks to the fascinating story behind it. "Anecdotes like these help to show the great personalities of the past in a new light,” Burmistrov explains. “It becomes clear that Tolstoy was not just a stern-looking old man with a beard. Clearly he liked to joke and occasionally stun his correspondents." What is more, judging by the handwriting, the poet probably signed the book in a hurry while standing up, rather than sitting at a desk. One possibility is that the book was passed up to him by an audience member after a poetry recital, and Mayakovsky simply didn't hear the name of this particular female fan – or perhaps he was just being lighthearted. There are also "accidental" autographs, which are valuable because the author never intended them to become public. The poet Joseph Brodsky left numerous autographs on the title pages of his works, but particular value is attached to his registration card as a freelance employee for the Progress publishing house. Brodsky himself filled this in and signed it in August 1964, when he was looking for work as a freelance translator. We would like to thank the Moscow auction house In Nikitsky for assistance in preparing this article.